Since 2007, the apparently unstoppable growth of world trade has come to a halt, and the openness of the world economy has been stagnating, or even declining. Trade grew very fast in the ‘long 19th century’ from Waterloo to WWI, recovered from the wartime shock in the 1920s, and collapsed by about a third during the Great Depression. It grew at breakneck speed in the Golden Age of the 1950s and 1960s and again, after a slowdown because of the oil crisis, from the 1970s to the outbreak of the Great Recession in 2007. The effect of the latter on trade growth is sizeable but almost negligible if compared with the joint effect of the two world wars and the Great Depression. 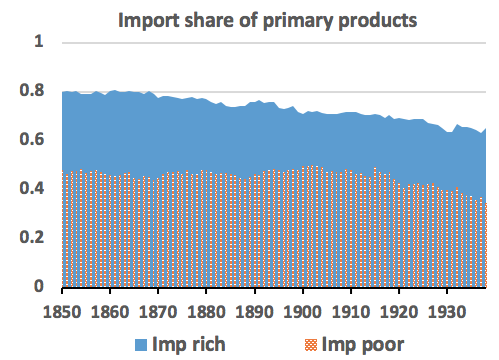 However, the effects might become more and more comparable if the current trade stagnation continues.The distribution of world exports by continent and level of development remained fairly stable until WWI. During the Great Depression, Europe lost more than the rest of the world, and the peripheral countries (and Japan) gained, but these changes were largely reversed during the Golden Age of the 1950s and 1960s. 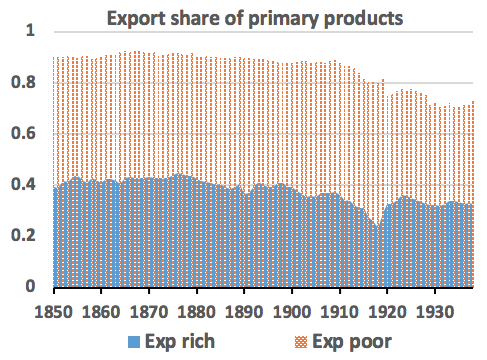 Thus, by 1972 European countries and the ‘old rich’ (North Western European countries and the US) still accounted for over a half of world exports. Since then, changes in world shares have been large and, at least so far, permanent. The share of Asia rose from about a sixth to a third, at the expense of all other continents. 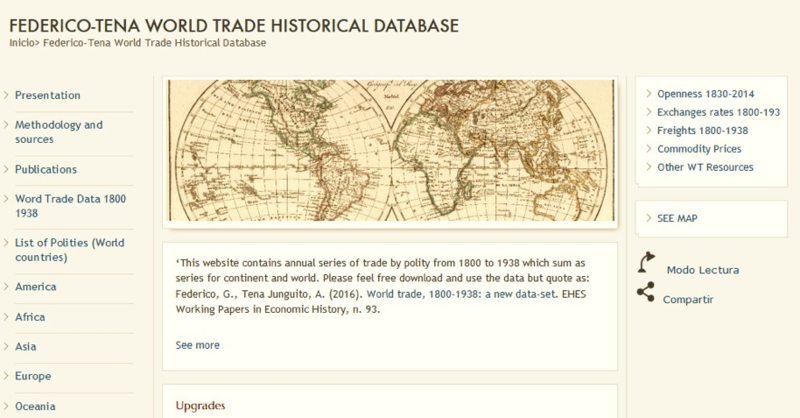 Contrary to a widely held view, the current level of openness to trade is unprecedented in history. The export/GDP ratio at its 2007 peak was substantially higher than in 1913 and the difference is much larger if the denominators include only tradables (i.e. it is the value added in agriculture and industry). 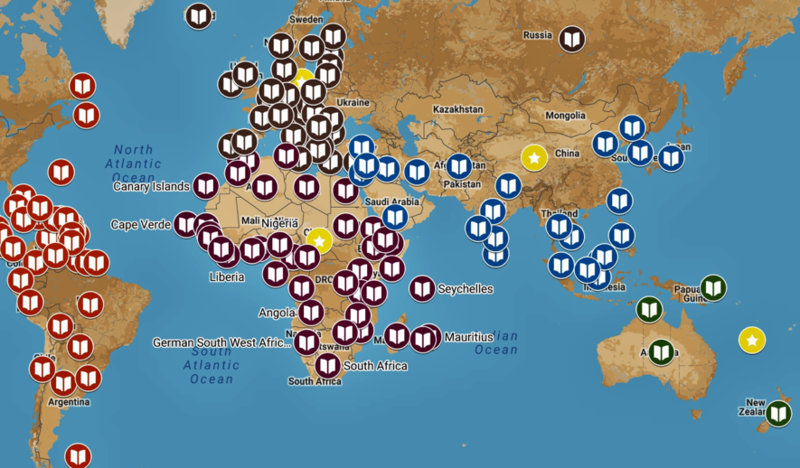 Furthermore, openness increased from 1830 to 1870 (the true first period of globalisation) and again from the mid-1970s to 2007, while it broadly stagnated both in the decades during the so-called first globalisation (1870-1913) and during the Golden Age. 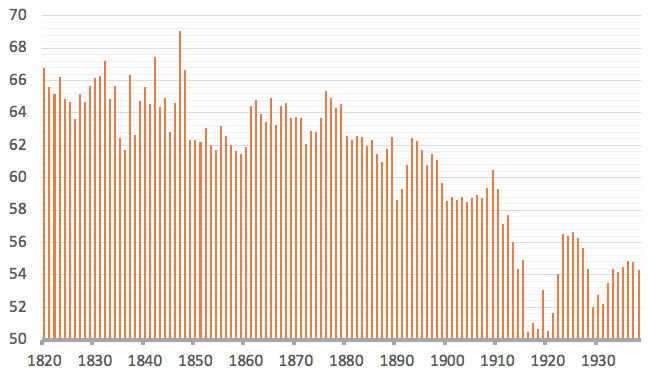 Needless to say, openness collapsed during the Great Depression, back to the mid-19thcentury level.The trends in gains from trade, as measured with the Arkolakis et al. (2012) formula, mirror quite closely the movement of openness, with peaks in 1913 (6.3% of GDP, for 36 polities) and 2007 (11.5%). These figures are surely a lower bound of total (static) gains, and in all likelihood the difference between estimated and actual gains was larger in 2007 than in 1913. Giovanni Federico is a professor of Economic History, University of Pisa.